Buying a piano can be expensive, not to mention confusing. How can you tell which type of piano will be best suited to your needs? A good place to start is knowing which stores/sites to visit. And so I now ask where the best places in Sydney to purchase pianos are. Please share your experiences of piano buying below! My advice is, if you are looking for a piano take your time and choose carefully. A piano can sound fantastic in the shop and sound totally different once you play it at home due to the environment acoustics, something you also need to consider. If you like a piano with a nice sound you need to look for a German piano, it sounds magnificent, it has a nice bass and is very nicely crafted. I have tried many Japanese pianos and feel that the harmonics are not there as the German made pianos. So the secret is be patient and do your home work. If you need further assistance send me a message and I may be able to put you in contact with my Japanese piano teacher/ tuner. Good luck and happy shopping. There is a place at Victoria Road in Rozelle that comes to mind - a space where there used to be a Milk Bar - just before Roberto's Patisserie. You can hire and buy pianos there - real experts and passionate. For the life of me I cannot remember the name. This place is next to the O'Connor Reserve. Hi Justine, it is called Balmain Piano, in Rozelle, is this the one you meant? I have always liked the Carlingford Music Centre. This is the shop I always visited for music supplies as I was growing up and I still go there today whenever I can. My piano teacher liked The Music Man in Auburn however. Their website is linked below. However, buying brand new pianos can be very expensive. If you have a young child who is just beginning, I would not advise going straight out to buy them a new upright or grand piano. Instead I would advise that you purchase a good keyboard or digital piano (the latter being the better option). To buy second hand pianos, keep your eye on eBay and Gumtree websites in case a good deal comes up. However, before you purchase any second hand piano, be sure to play every note (in case any strings are broken - broken strings will cost more to replace) and test all two or three pedals as well. If possible, try to play a few snippets of pieces to test how much you like the piano. 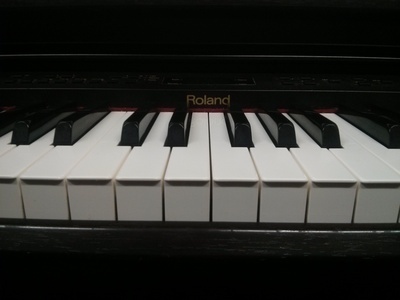 If buying a brand new piano, it is again a good idea to play a little on it to test it out first if possible. Note that newer pianos will have stiffer keys - this is not a bad thing as it will make your fingers stronger as it will offer more resistance. I hope this is helpful and happy buying! Can't say I've ever bought a piano, but there's a place called Hutchings Pianos in Bondi Junction that sells and rents both new and second hand pianos. Otherwise, if I was looking for something a little more cost friendly, I would also check out Gumtree. You never know who in your area might be selling one. Best place to see ducks in Sydney?